October 8th. Can you believe it? I can’t. It’s been more than a month abroad, and somehow I’m still surviving. Actually, I know how I’m surviving. With lots of pastries and tea. It’s really hard to imagine that I’m just getting into October. On the 2nd, my señora came in and said, “It’s been one month!” And while I could understand her, I couldn’t really wrap my head around the fact. I just laughed because I had totally forgotten about it until that moment. Week after week I slowly approach the end of the semester, and then the end of me being in Europe. It’s also really hard to imagine how the heck I’m going to get to that point. In between school, traveling, and attempting to learn this crazy language called Spanish, there is no time to spare! It’s a strange time conundrum where everything is going so fast and so slow all at once. I’m sure every single student is feeling that way right now, whether you’re in the U.S. or studying abroad. I’m not even going to start to think about how I’ll be halfway through my junior year of college by the time I get back. Noooope. Gotta think about the now. Or maybe about this past weekend! 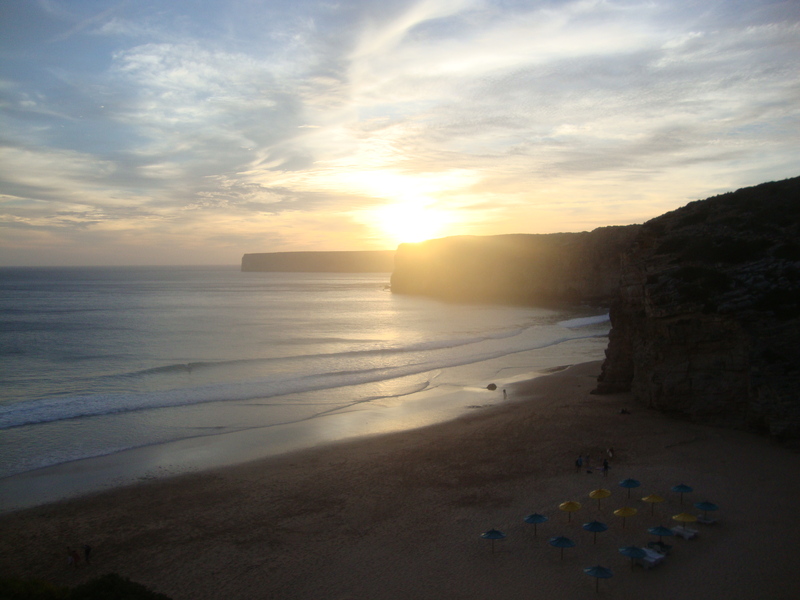 I went to Sagres, Portugal, la fin de la semana pasada, and absolutely loved it. Sagres is a teeny town right at the southwestern edge of Portugal. There are a total of three bars and one supermarket, and a ton of surfer dudes and dudettes waiting to catch the perfect wave. I went through a travel program called Outdoor Sevilla, which basically planned the entire weekend for me. It was a great change to me planning anything. I just had to worry about how the heck I was going to rock climb or gather the courage to cliff jump (which I could not!). We left Friday afternoon, and I was a little nervous about going in the first place because I was going by myself. Granted, there was a big group of people going, but I didn’t know anyone ahead of time! My fears were all for nothing though—I met some fantastic people, and made some friends that I might not have made had I gone with a group of my own friends. The guides were also really fun and knowledgeable of the area; we hiked to the best places, they were expert rock climbers, and made sure everyone made it out alive on that cliff jump. I am actually pretty proud of myself for doing some of these things because while signing up, it all sounded very daunting to someone who’s exercise includes walking to class and back home (but hey, that is one heck of a workout). While I did not cliff jump, because the waves were too intense and I am not the best swimmer, I did attempt to rock climb, and I did pretty well surfing. To me, it’s a crazy thing to say. I am from Iowa, the middle of the United States, far away from any kind of coast, much less any kind of good surfing spot. 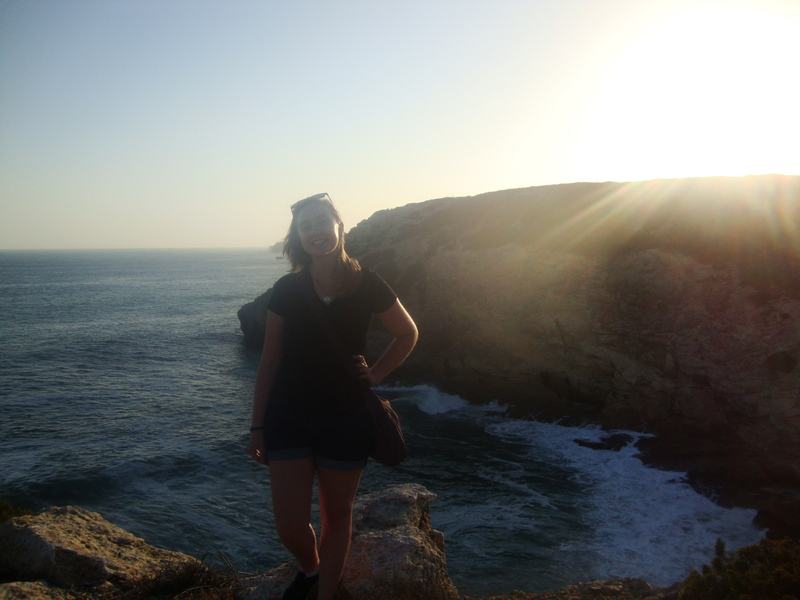 So seeing all of this ocean in Portugal, all of those cliffs… I think I fell in love. Just a little bit. Besides the rigorous activities, there was also plenty of time to relax and head to the pool or the beach. It was such a nice change. I think I’ve been spending the majority of my weekends here doing something, trying to fit in everything I can into a schedule. This weekend was so much more relaxed, even with the exercise, and definitely something I needed for my one month mark. 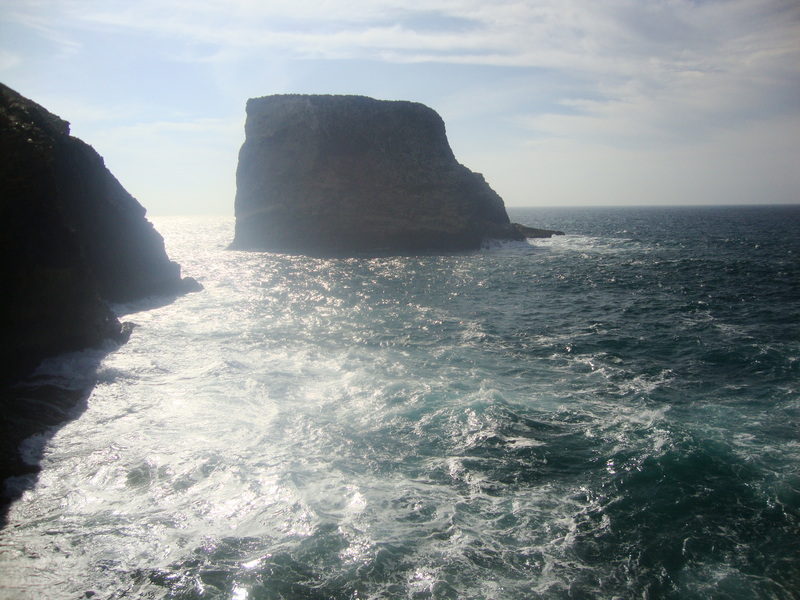 The oceans were bright and blue, the cliffs were huge and awe-inducing. I think I said, “Wow…” about a million and one times every time we scaled a tall hill to see what felt like the top of the world. We watched the sunsets both Friday and Saturday, and each time it just took my breath away. It’s so hard to describe how at peace I felt the entire weekend. Soaking in all the beauty of the world while also experiencing life, experiencing moments that I’ll remember forever. I had a sense of calm that I hadn’t felt in a really long time, even before I left for Spain (because, let’s be honest, I had been freaking out about studying abroad since signing up). In between my awe and “Woahh..”s, I felt at peace. Which doesn’t happen a lot—my mind is constantly thinking ahead, constantly urging time forward and trying to figure out life. Watching those sunsets, or just laying by the ocean listening to the gigantic waves crash against the shore, everything kind of figured itself out. 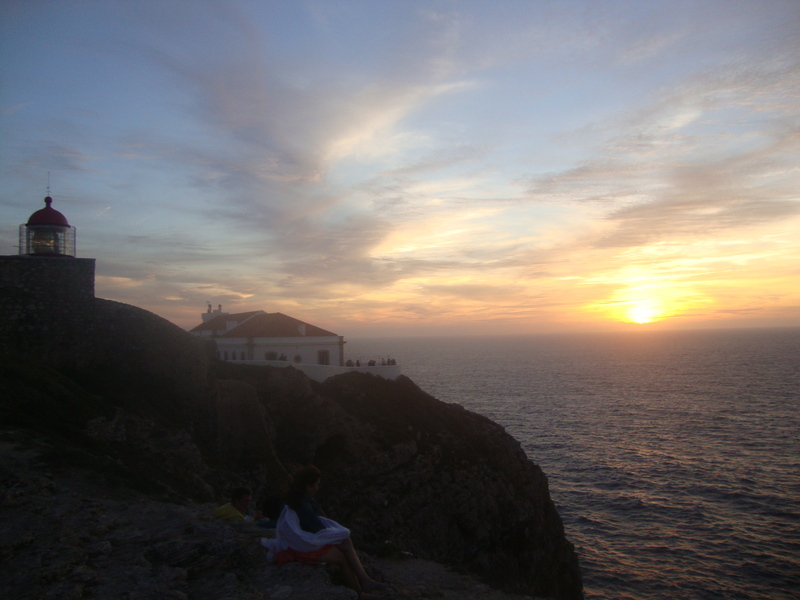 End of the world in Sagres, Portugal. Furthest west you can go in Europe. While driving back to Sevilla, I couldn’t help but feel a little sad. I didn’t really want to leave. I stayed awake and watched Portugal pass me by, wishing I could spend another week or two there. I still really miss it. The only thing I’ve missed since coming here is good ol’ Iowa and everyone in it. It took some self-convincing to wash the salt out of my hair the next morning (although the sand was pretty persistent), and right before putting my beach blanket into the laundry basket with the rest of my soggy clothes, I caught a whiff of the beach and the sand, and stood there for a minute just breathing it in. I don’t think I could have felt more comfort. Unless the blanket was my cat. But blankets don’t poke you when they want to be let go. So here I am, October 8th, absolutely positively in love with Portugal, and missing something that isn’t Iowa. I wonder sometimes where I thought I would be at this point, before I left. I remember hoping I wasn’t crying myself to sleep every night. So far, so good! Sevilla is becoming more and more like a second home to me, and it’ll be even harder for me to leave here come January. I’ll have to leave out my beach blanket to try and catch the smells of Sevilla. Or maybe just bring home one of my señora’s many air fresheners. Until next time, Portugal. Up next, Morocco.